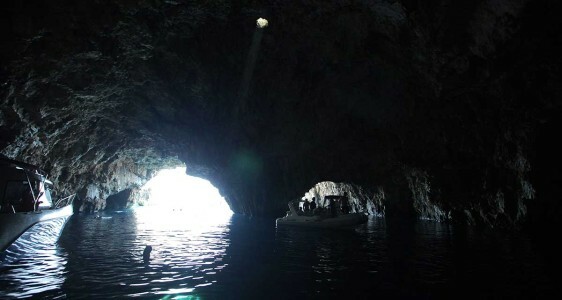 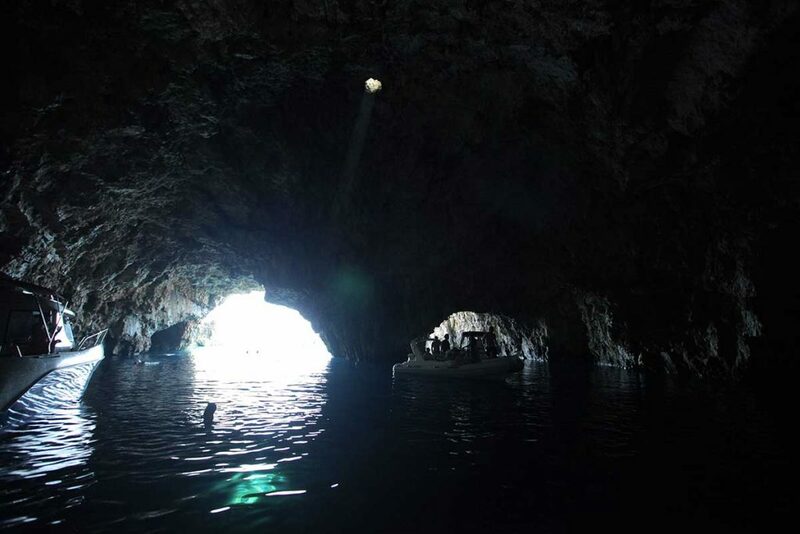 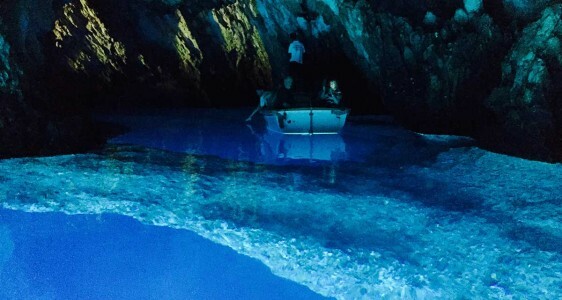 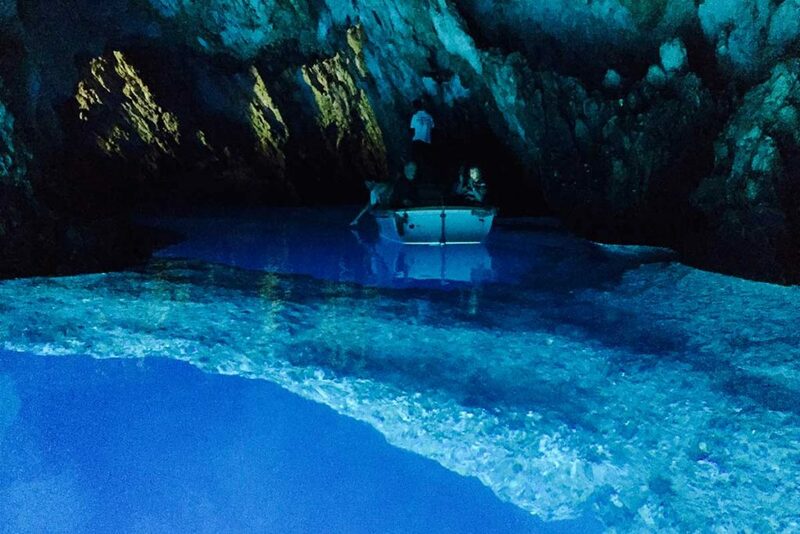 The second stop on daily speedboat tour to Blue Cave and Hvar is Stiniva Cove on island Vis. 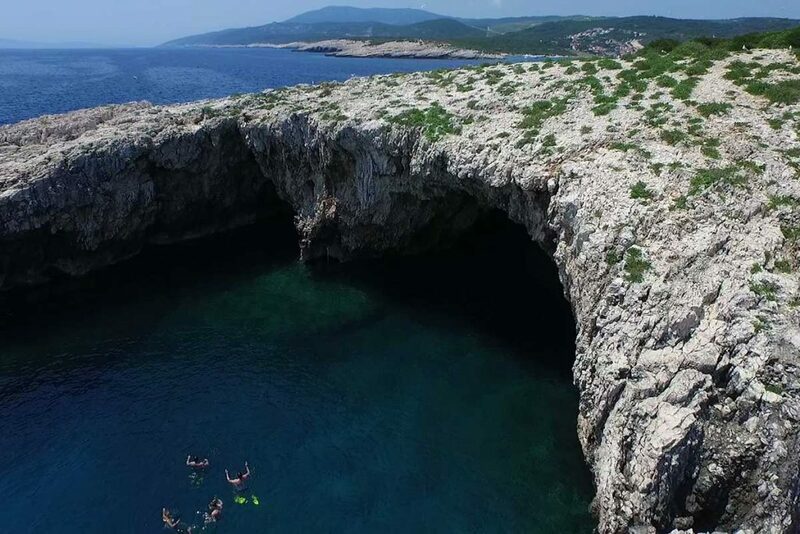 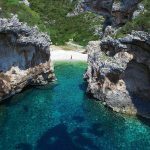 Just as you finish marveling at the beauty of the Blue Cave on island Biševo you are taken on a short speedboat ride to the bay on which bottom the famous Cove is located. 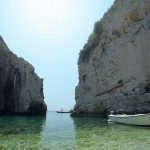 The speedboat is moored just outside the Stiniva gates from where you jump into the sea to experience the cove first hand. 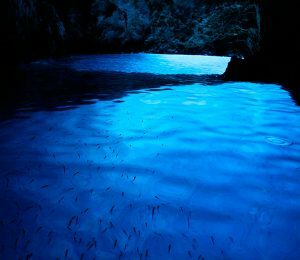 As you jump into the sea you are immediately struck by the dark blue yet really clear color of the sea. 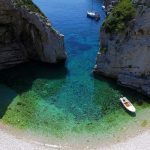 As you dive in, you can clearly see the sea bottom even though the depth in the bay ranges from 10 to 15 meters, even deeper as you move out of the Stinica cove. 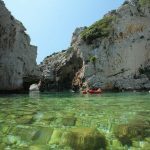 As you jump into the sea, the curiosity always rushes you to swim past the Stiniva Gates and experience what stands on the other side. 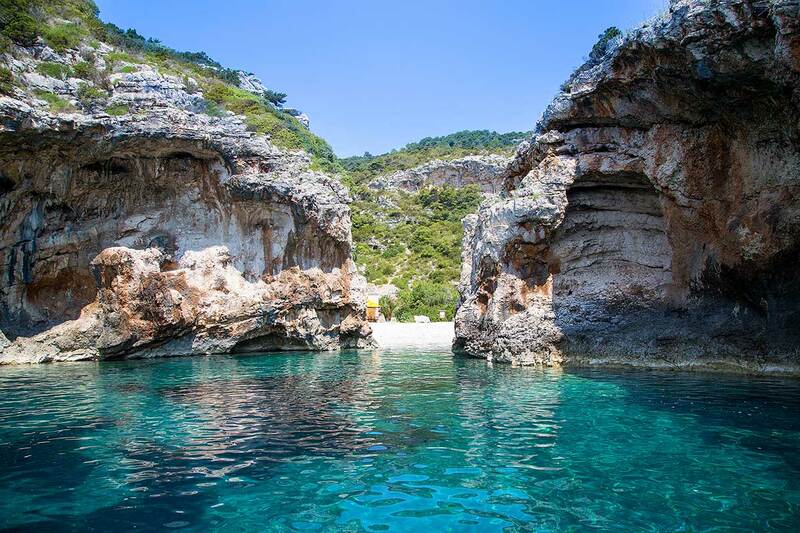 Even though you have already seen the photos of the inside and the outside of the Stiniva Cove, experiencing the Cove for the first time is always a special experience. 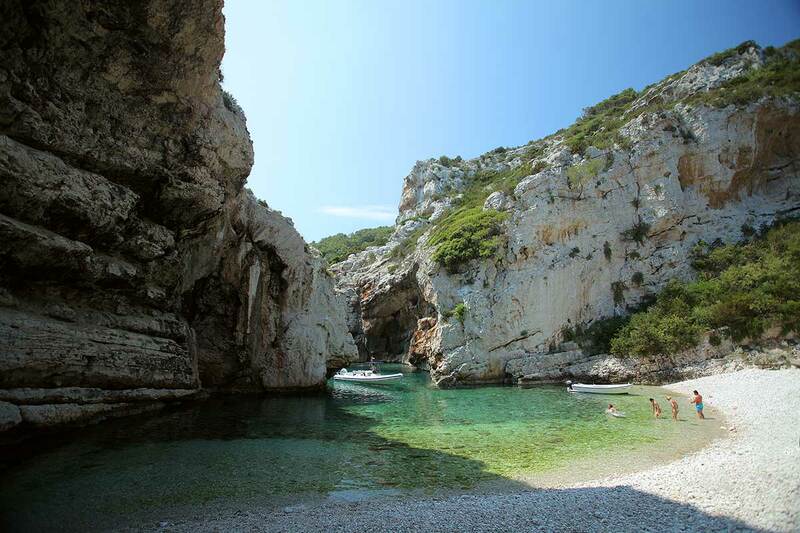 Even people who have visited the Cove more than once are always struck by its natural beauty. 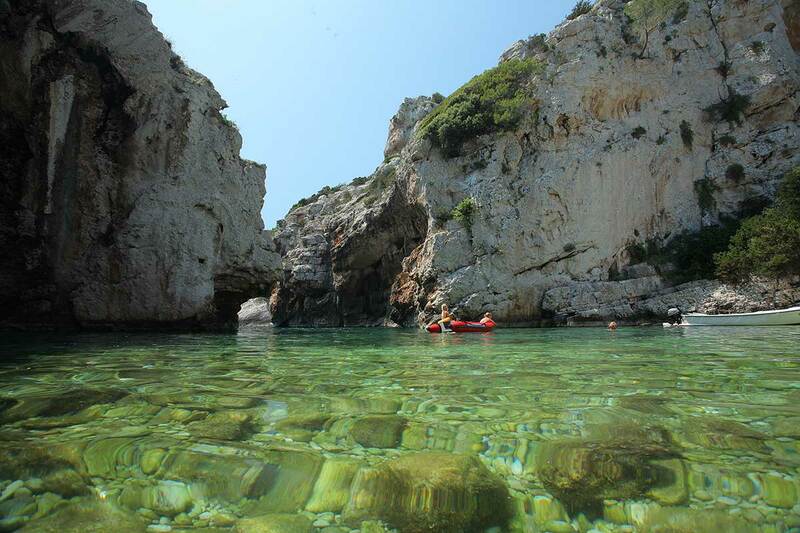 As you swim through the Stiniva gates you find yourself inside the shallow bay with transparent sea on which end stands a beautiful pebble beach. 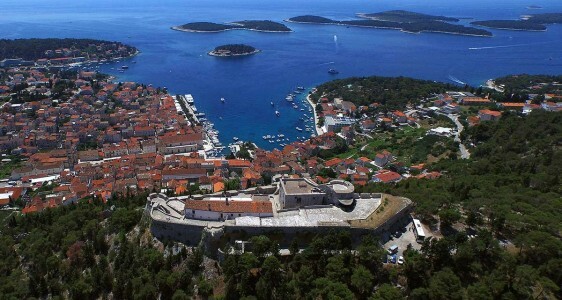 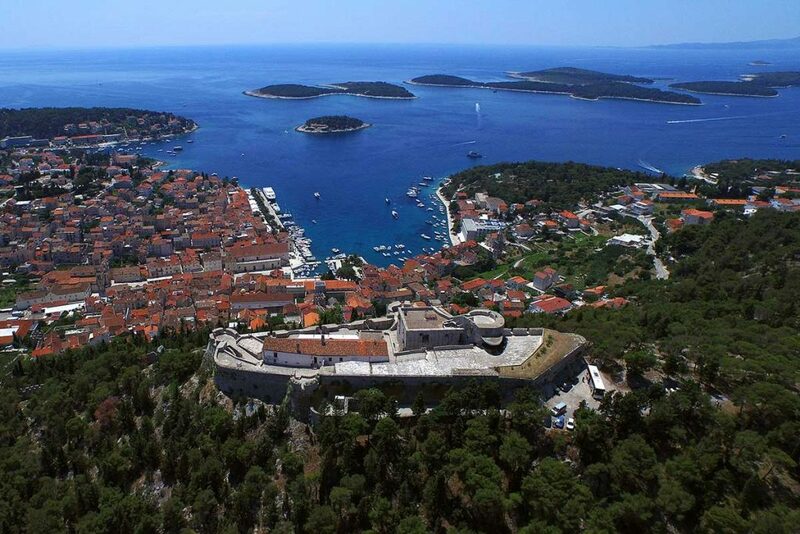 But what strikes the most is that the entire bay is surrounded by massive lime stone walls. 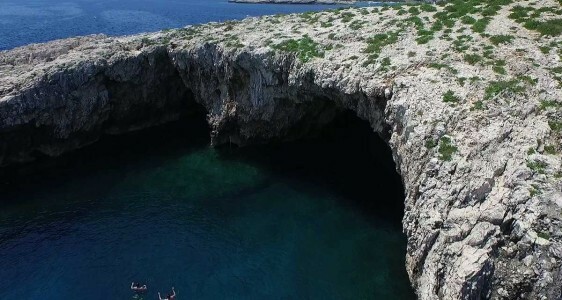 There are speculations that Stiniva Cove was actually a cave long time ago but the ceiling of the cave collapse forming what is now Stiniva Cove. 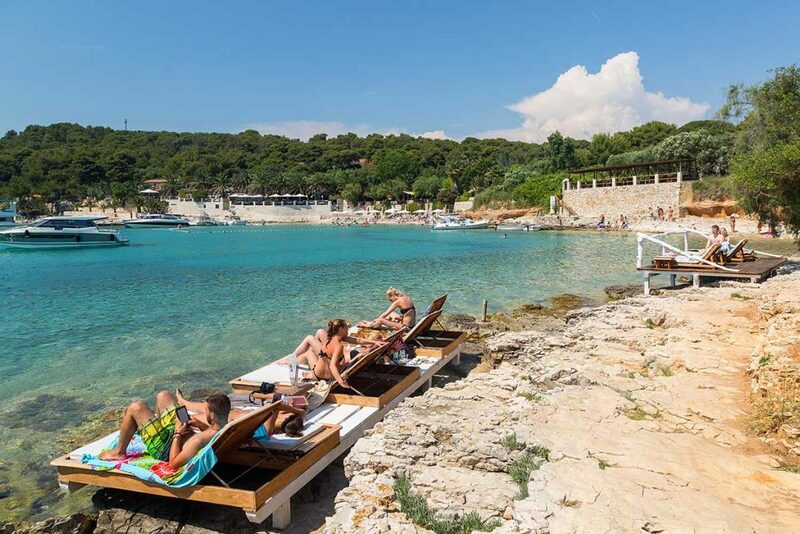 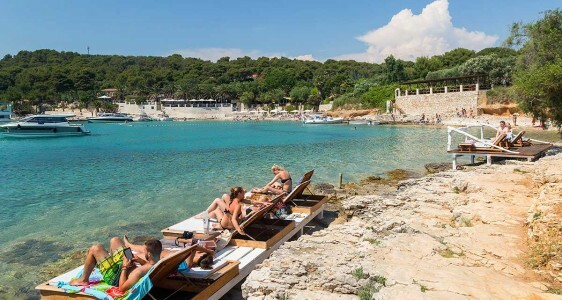 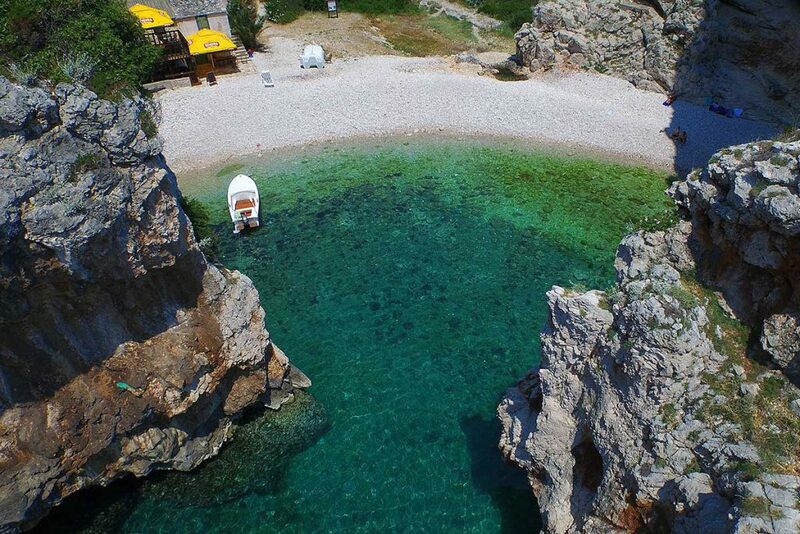 If you exit the sea ans enter the beach, on it’s far left side you will see a small beach bar offering coffee and refreshments with a place to sit down and enjoy in the Cove from a relaxing environment. 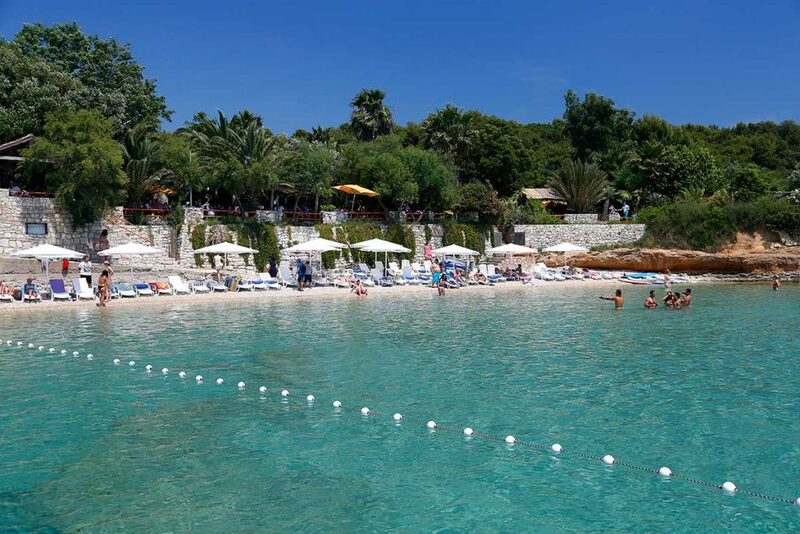 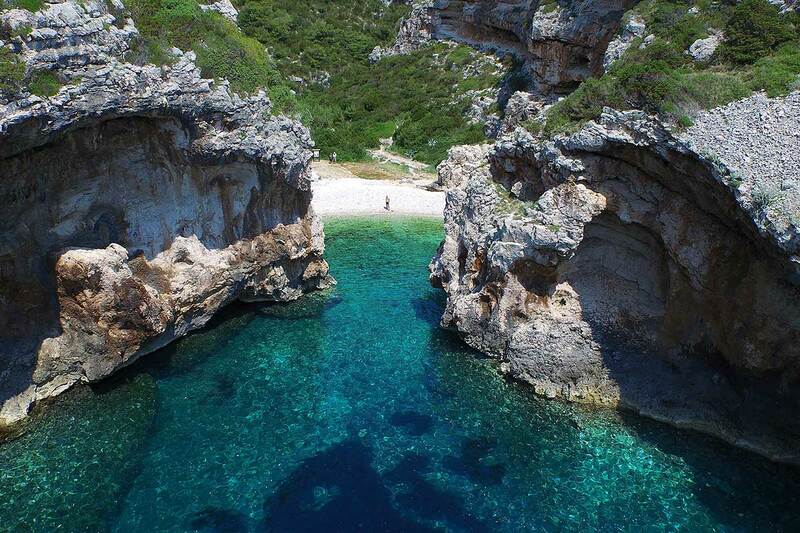 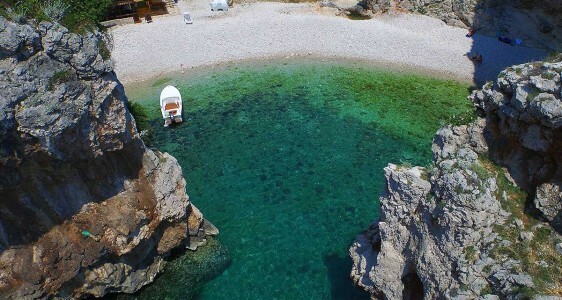 Stiniva Cove on island Vis is one of the most popular and certainly most famous coves on the Adriatic shore. 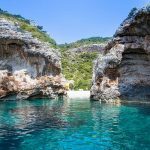 This is mainly due to it’s unprecedented natural beauty and numerous photos taken by enthusiastic travelers who are lucky enough to visit this distant Cove. 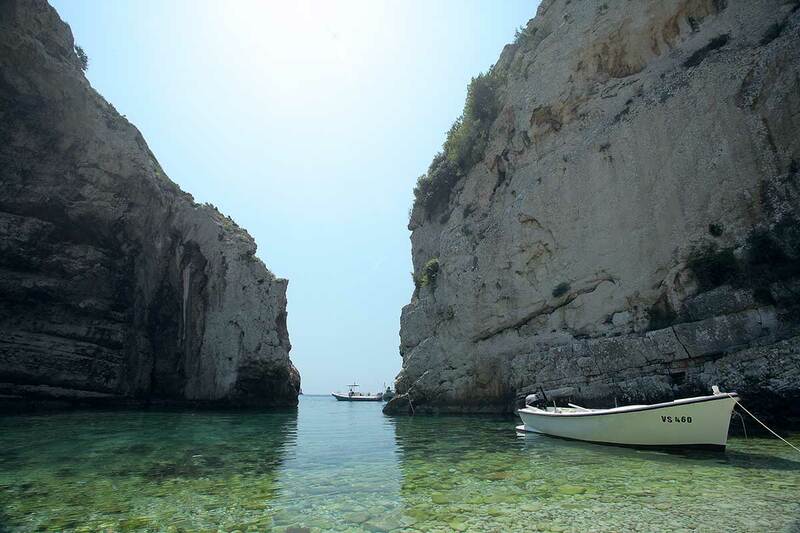 Even though many people visit island of Vis, not many get to see and experience Stiniva Cove. 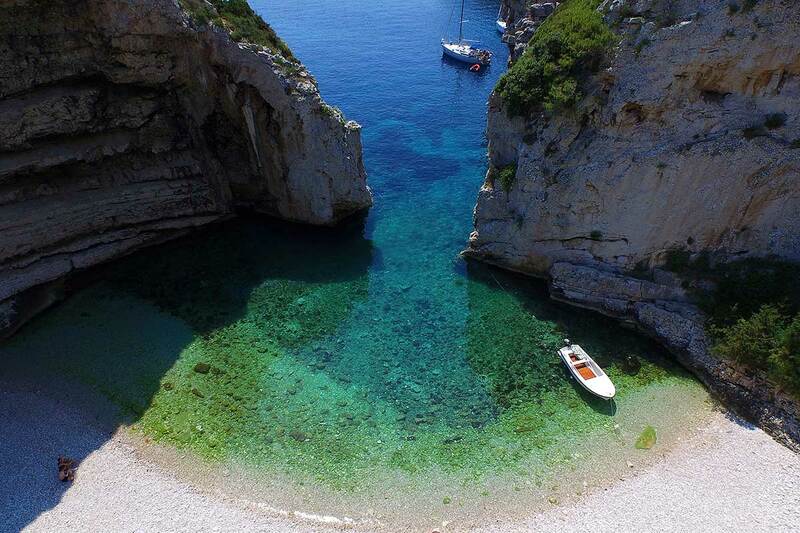 To get there you need to come by a boat, and by a boat alone as there are no man made roads leading to it. 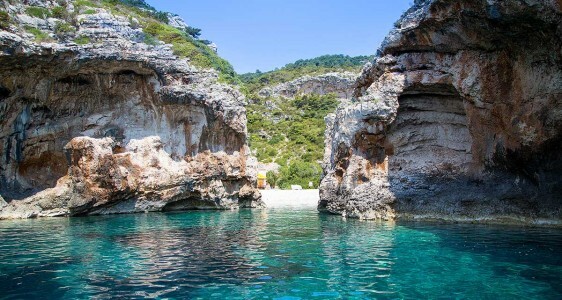 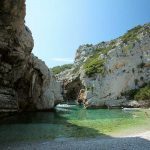 Sometimes, as is in this case, the inaccessibility of the Stiniva Cove has allowed it to preserve its natural beauty and charm year after year. 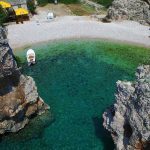 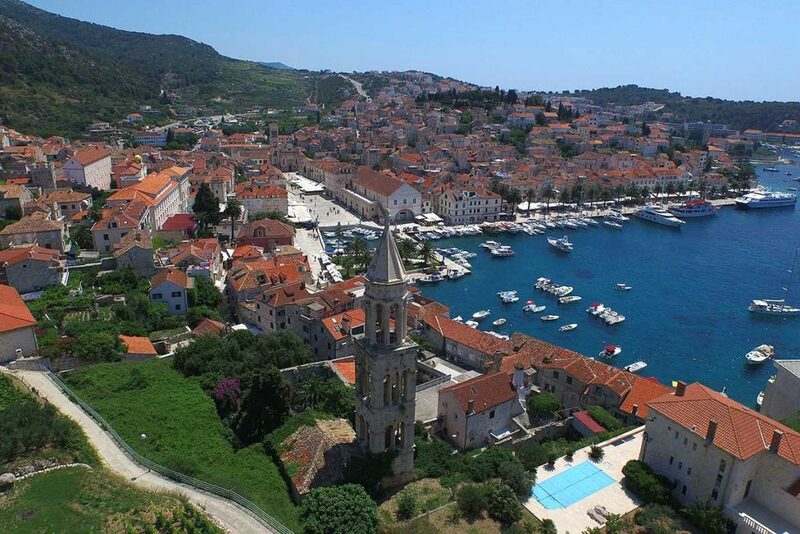 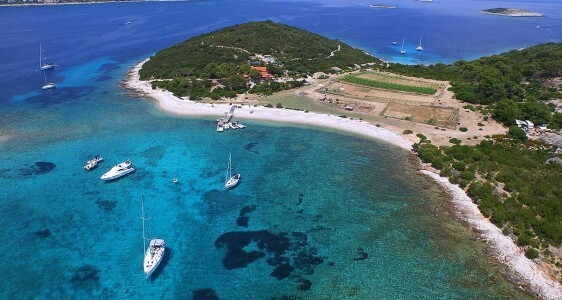 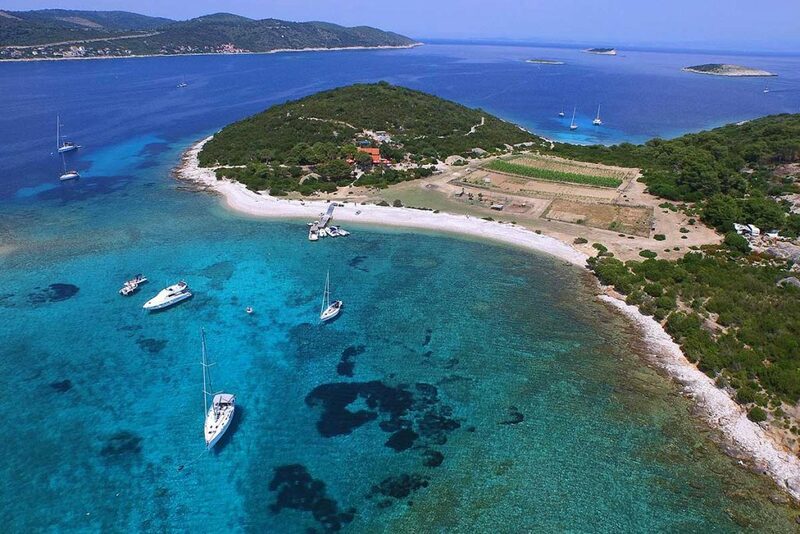 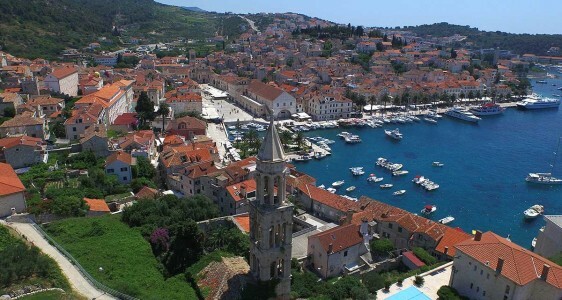 This is why Šugaman tours has prepared for you a special tour to visit this magnificent island and it’s talked about Cove.